I am a city person at heart, but I am the first to admit that there is something delightful about small French towns. Everything moves at a slower pace, there’s an abundance of quaint old cottages and cobbled streets, and good, simple food reigns supreme. Most of the little towns that dot every region of France have something that sets them apart; a meandering brook, an old mill, or a tiny storefront selling homemade soaps, toys or chocolates. But almost all towns will share many of the same characteristics, too: a boulangerie or two, a dedicated boucherie, fromagerie and épicerie, a green-cross-emblazoned pharmacy, a brasserie/tabac with an endless supply of espresso and cigarettes, perhaps a traditional French restaurant or three and, set a bit further away from the quaint little food shops, a small supermarket. Usually, there’ll be a school, a bank, a post office and a church. Often, there’ll be a farmer’s market in the streets on the weekend. Sometimes there’ll be a little tourism office, museum or other attraction. But only rarely is there a world-class, breathtaking, awe-inspiring château, surrounded on three sides by dense, lush green forest. Less than an hour’s train ride from Paris (though I admit that including it on a Paris blog is an act of creative license), le Château de Fontainebleau is a veritable treasure. The town itself is charming, but the main attraction is something from another world. 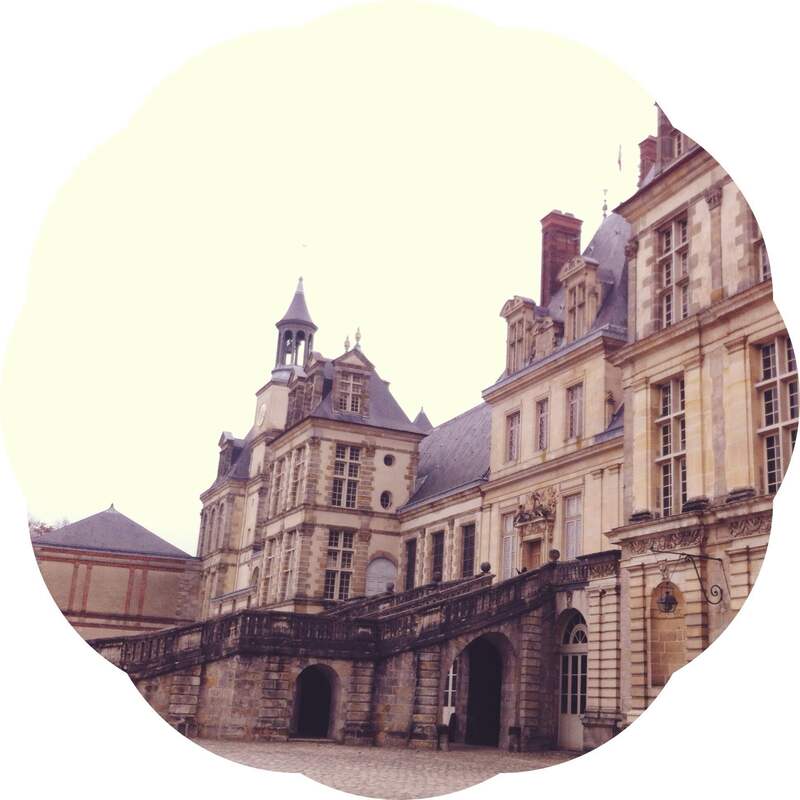 A royal residence from Louis XII all the way to Napoleon III, Fontainebleau is one of the largest and most exquisite medieval castles in the country. It may not have been the primary palace, but it was a beloved retreat, especially for the kings who loved to hunt in the surrounding woods (as most kings seem to like to do). With the sloped iron lavender roofs you find at the Louvre, and gigantic wings that form a central courtyard, the building’s facade is nothing if not grandiose. 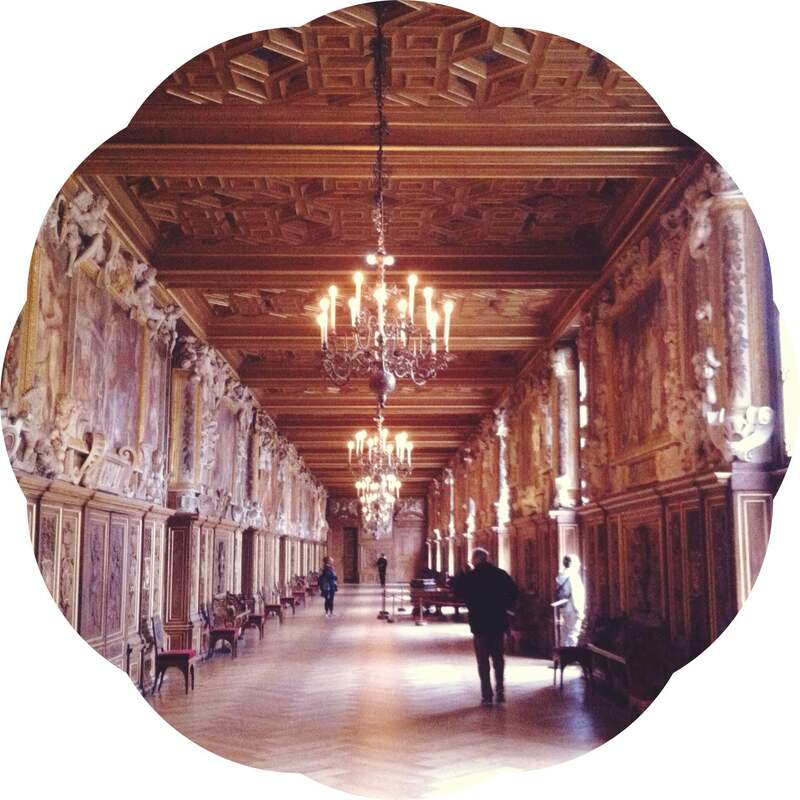 My favourite part of the exterior is the luxurious horseshoe stairway leading up to a second-floor entrance, a swirling structure constructed for Henri II in the 1550s. 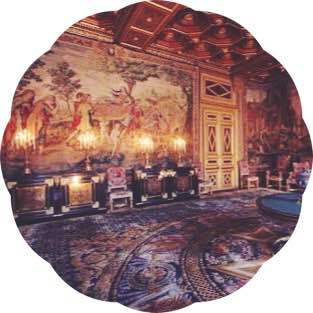 Inside, the velvet and gilt furnishings, crystal chandeliers, knick knacks and artworks help you imagine what it would have been like to visit a French king. Step into the ballroom, and you can imagine what it might be like to dance with one. But perhaps the most unique highlight is the Galerie de Diane, lined with books. This long hall was added to the castle in the 12th century so the queen could take a morning stroll, without having to go outside. Though I did visit on a winter’s weekday, I was pleased to see that the castle doesn’t suffer from the endless crowds that are always to be found at Fontainebleau’s main rival, Versailles. It is larger and more resplendent than Vincennes. And it is far more accessible from Paris than the famed castles of the Loire valley. 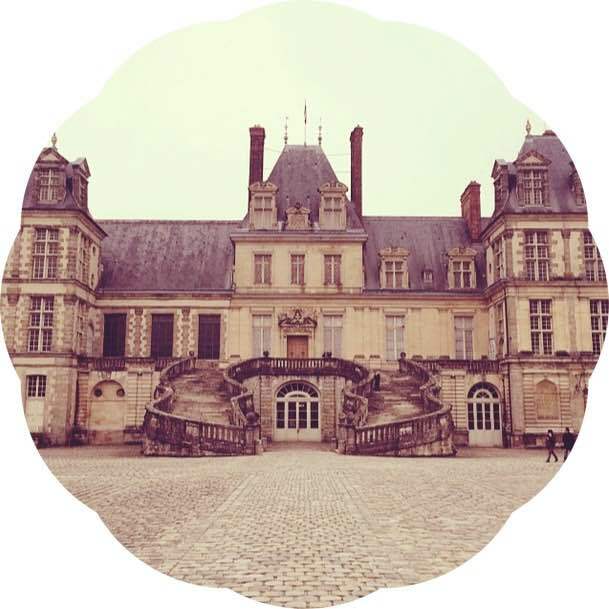 In short, Fontainebleau may be the best château, on all fronts, for travellers to Paris. Quite the claim for just another little French town. It looks so beautiful! Like a fairytale castle.